Despite the enormous controversy surround the circus industry, the Big Top continues to trill us and ignite our imaginations. 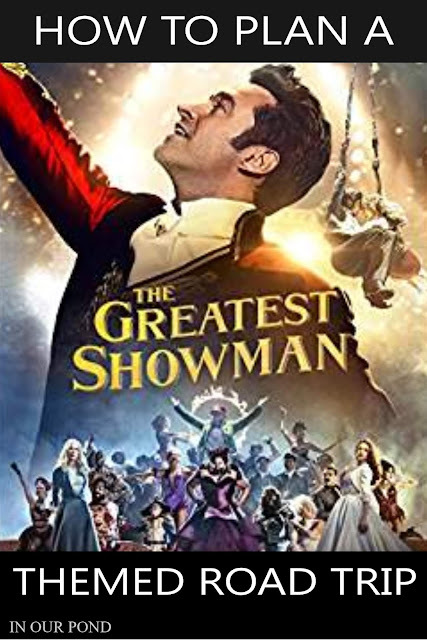 With fewer shows traveling around the country than ever before, the pageantry has come to us with blockbuster hits like The Greatest Showman. Books for children and novels for adults are popular and continue to be published (that's another blog post, though). Children still pretend to tame lions, walk on a tightrope, or lead the Grand Spectacle. A friend of mine asked me to put together this very special circus "party on wheels" for her. 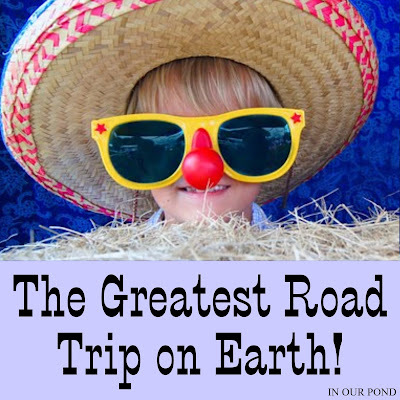 She wants to take her family on the Greatest Road Trip on Earth! I enjoyed putting this performance together for her (while watching The Greatest Showman, of course). I'm confident that she'll be a great ringleader and tame all the wild ones in her family. It's very important to keep your circus entourage busy lest they turn on you (they're a bit like lions that way). Here are a bunch of DIY circus toys that you can make for your kids. 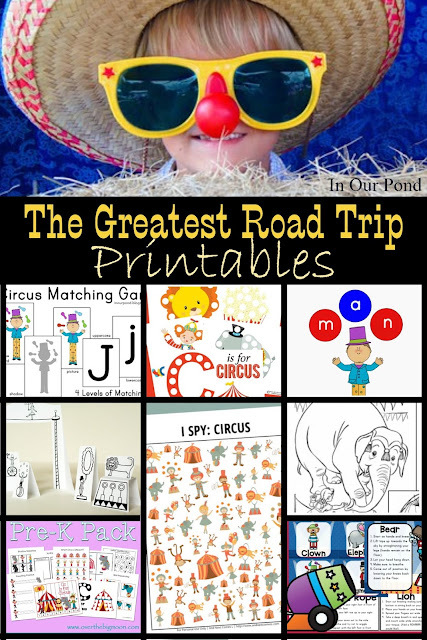 One of the easiest activities for road trips is printables. Just print and you're good to go! Most of these would be a great for a preschool or kindergarten theme unit as well. The name of this game is carnival foods- popcorn, cotton candy, hot dogs, candy, soft pretzels, donuts, animal crackers, and the like. 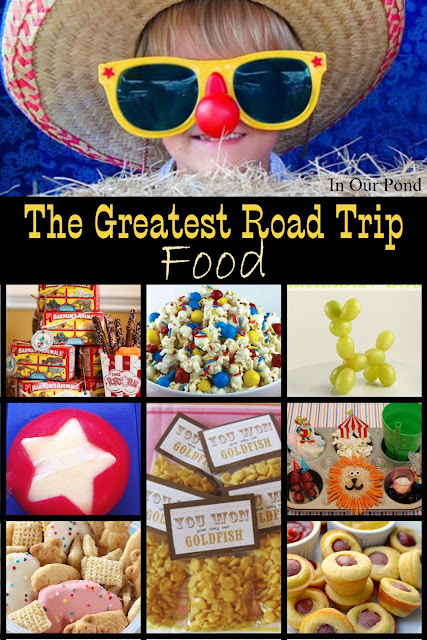 Tame your wild monkeys and quiet the roaring lions with these yummy foods. This is your circus and these are your clowns. 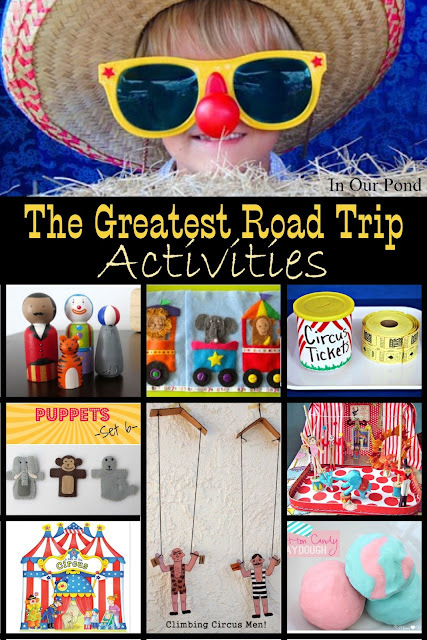 Outfit them in big top style with these fun DIYs and purchases. 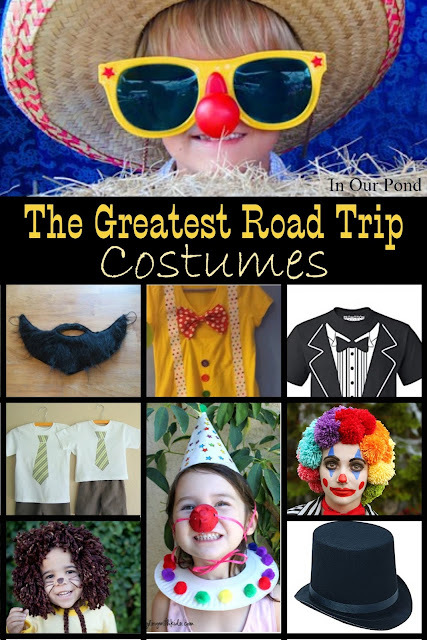 Like I say with all my themed road trips, the costumes can be as elaborate or as simple as you want. Don't forget your clown noses!